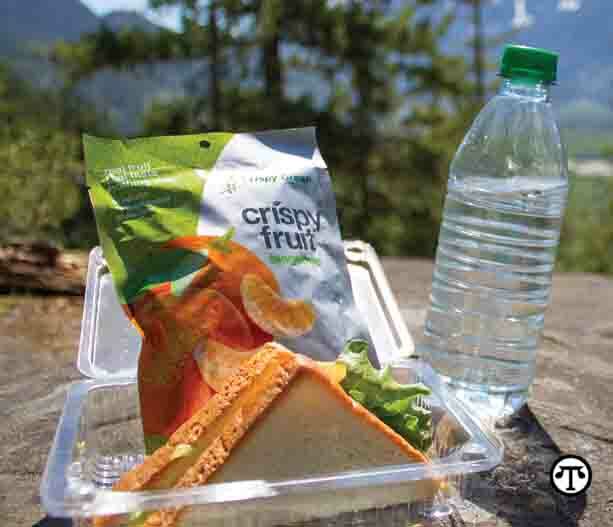 A crisp, pure fruit treat can help you enjoy healthy snacking when on the go. (NAPS)—For kids on the go and adults on the move, for business trips and daily commutes, for family hikes and walks in the park, you want a treat that’s wholesome, portable and delicious. Fortunately, you can now get a smart snack that passes the mess test (it doesn’t drip or crumble). It’s made of nothing but 100 percent pure, top-quality fruit, freeze-dried to a light, crispy texture. Flavors include Tangerine, Apple, Asian Pear, Banana, Cantaloupe, Mango and Pineapple, each in individual, single-serving packets that are easy to pop into backpacks, briefcases, travel bags, overnight totes and purses—they’re even TSA friendly for the airport. The treat, called Crispy Fruit, is non-GMO Project Verified and available in a convenient “Grab & Go” 6-pack as well as individual, single-serving bags. Each provides just 55 calories or less, and the fruit is available at many retailers—you can find them at www.crispygreen.com/where-to-buy.html or purchase online at www.crispygreen.com.